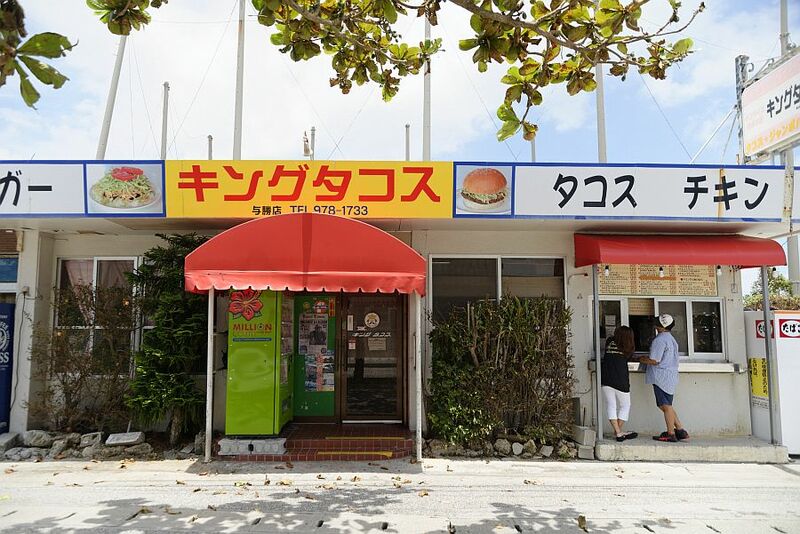 How does relaxing by the sunny oceanside with a delicious lunch sound? near the entrance to the Chuukan Road. and the restaurant is busy with customers daily. 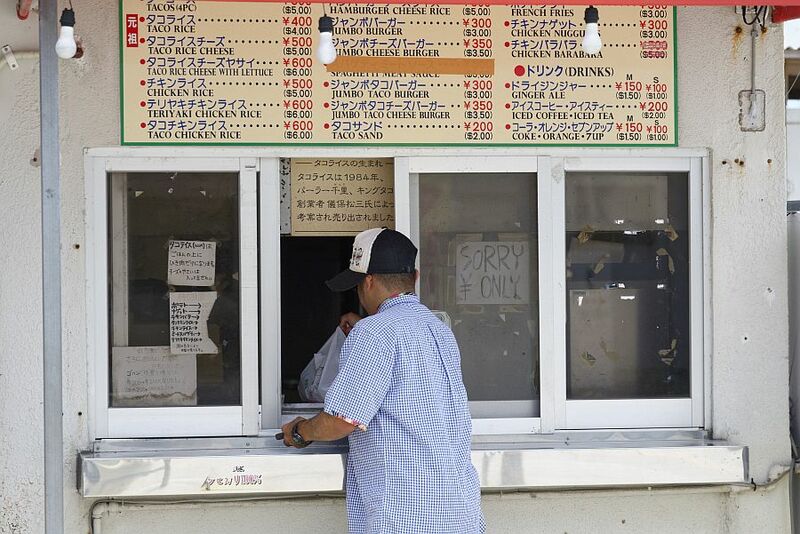 but most locals order from the takeout counter’s diverse menu to eat in their favourite location. along with prices converted to USD. 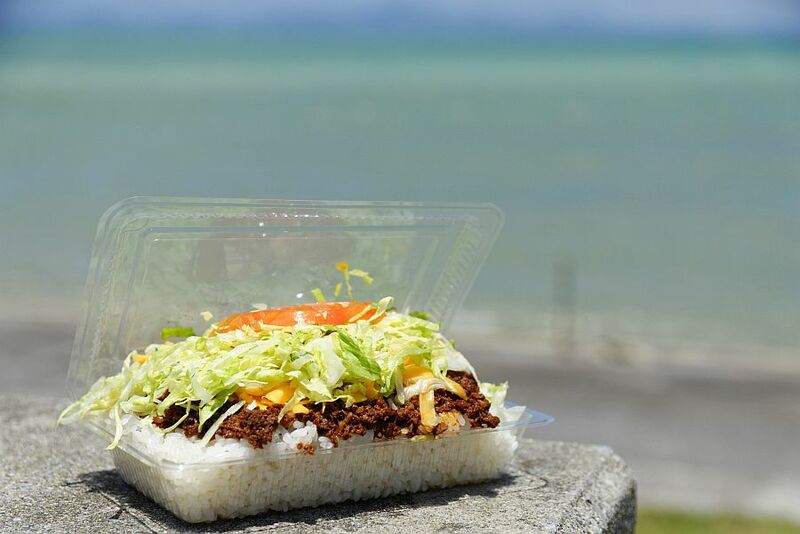 After just a short wait, the overflowing boxes of taco rice are ready! 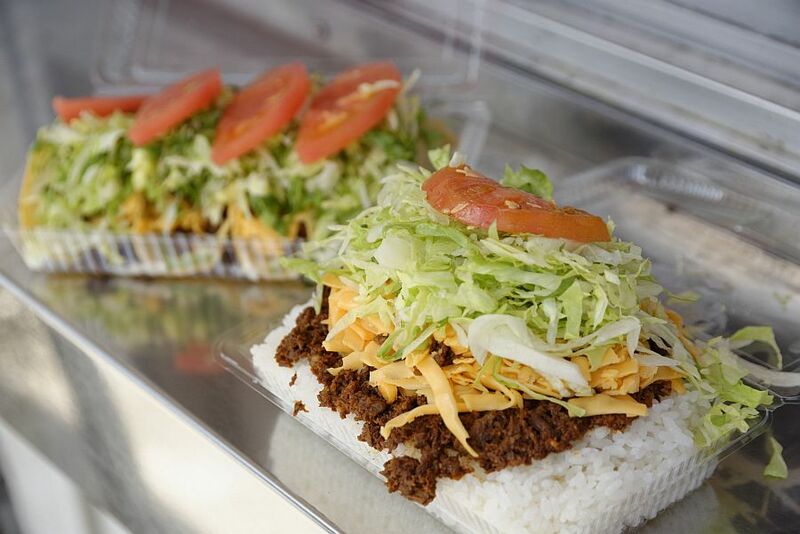 with taco shells- its pile of cheese and lettuce pairs wonderfully with the minced meat. and has become famous in recent years amongst tourists as well. 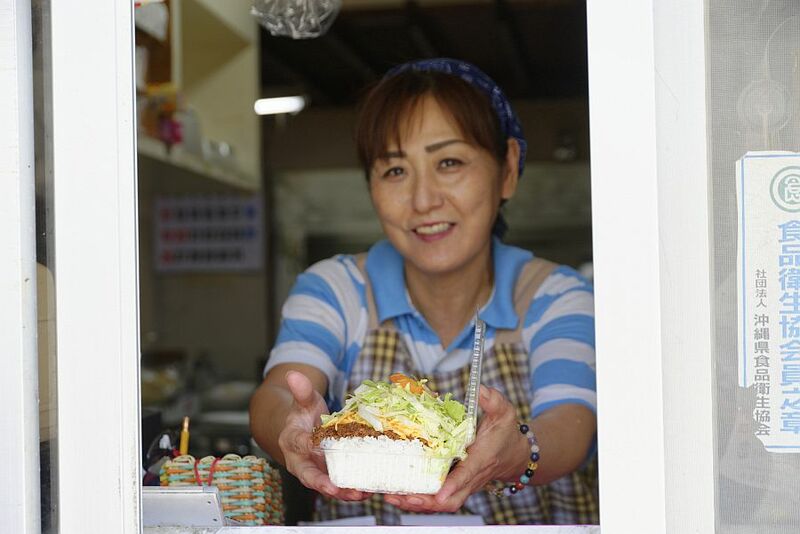 where customers have a chance to try the original Okinawan taco rice! To the side of the store lies the Sea road leading far across the sea. 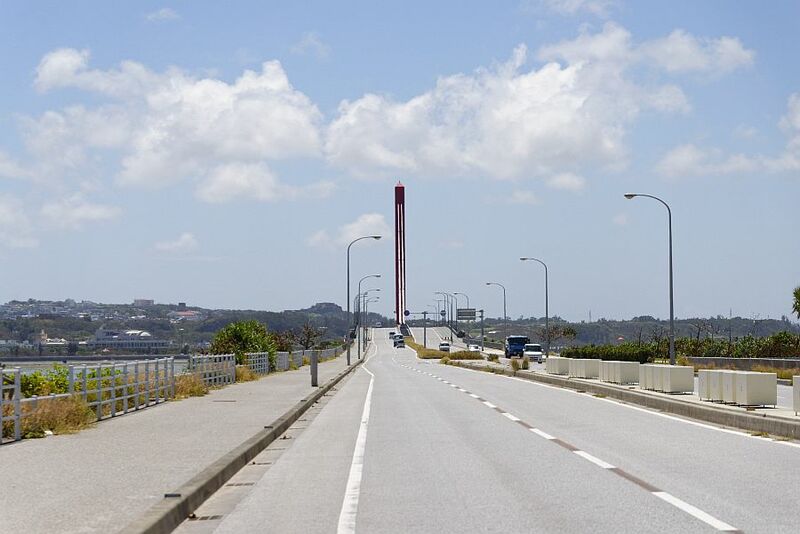 and the cool ocean breeze and open scenery has made it Okinawa’s foremost popular driving course. why not park your car at the Ayahashi Road Park along the middle of the Sea road? 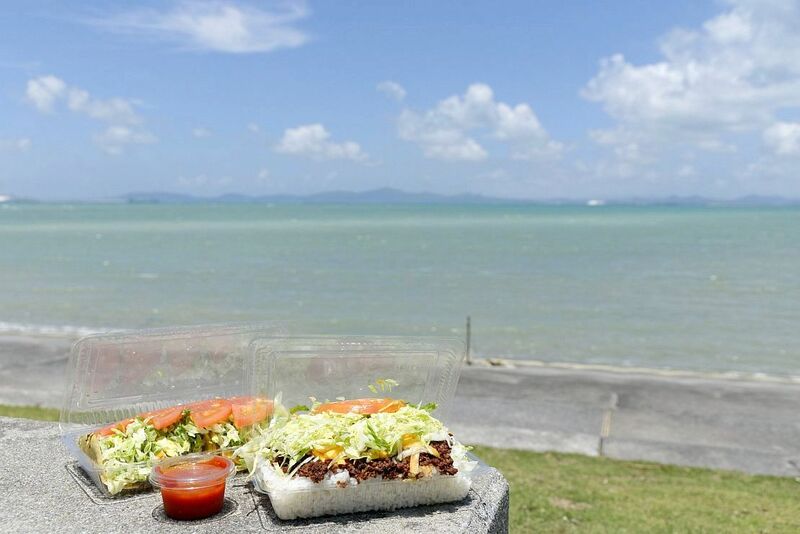 The sparkling ocean scenery pairs deliciously with the savory flavours. 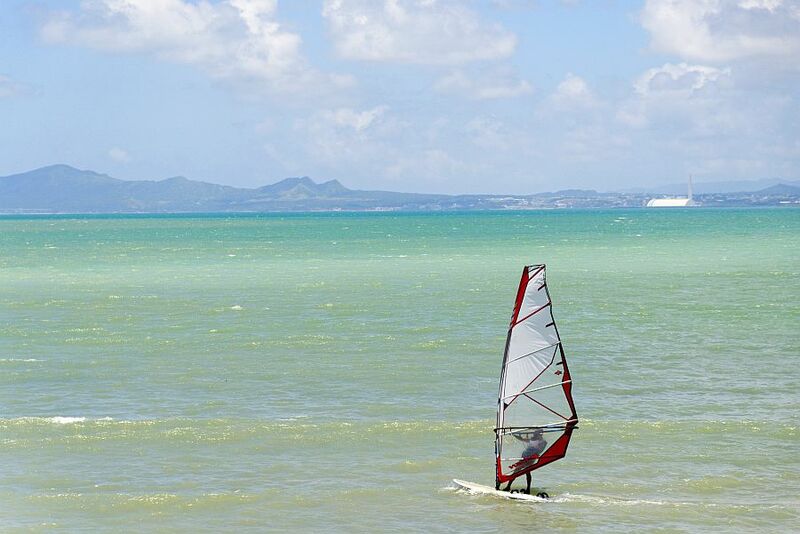 and an oceanview is just one of the many fun possibilities in Uruma City.